Especially if you open and operate business there in China, you need to involve both corporate tax and individual tax. Let's take a simple case getting rid of any allowance which can be complicated to know as it's different from one to another in each country. Thus we set it to 0. The following case is set for easy comparison. Case: Assume company gets monthly income at the rate 100,000.00 THB or 19,413.65 RMB. In 1 year, company gets 1,200,000.00 THB or 232,963.80 RMB. Use blue for Thai Baht, and red for Chinese Yuan for clearer visual at a glance. Accomponay with the list of tax for all country here. Although as listed in link above, China's corporate tax is at 25%. Shenzhen is in special economic zone. It's also accoridng to the type of company you would be registering. For FIPE which stands for China Foreign Invested Partnership Enterprise, with it tax is 0%, or simply no tax at all. You get all the money to your company entity. Tax 0 RMB or 0 THB in case of special economic area such as Shenzhen. 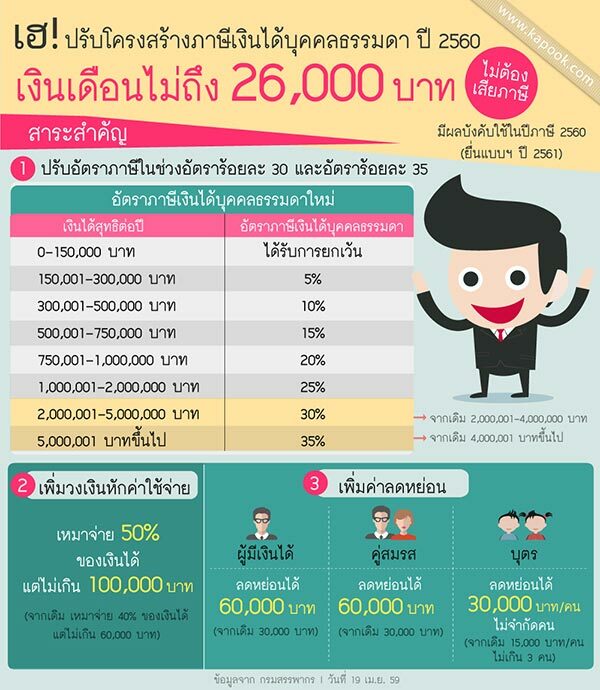 You need to pay 20% for corporate tax in Thailand compared to none for special economic area in China such as Shenzhen. You need to pay 5% less for corporate tax in Thailand compared to business in non-economic area in China. Slightly needs effort in calculation. Assume that when you got money into company, you want to get all of that money out each month. Thus all the amount will be applied for individual tax. Best link I found about individual income tax (IIT) in China can be seen here. I take the image from the link and show it here for easy reference. In which Tax Deductible Allowance is assumed to be 0, and Initial Deduction is 4,800 RMB as it's for of expat. See provided link for more information. We can work it out as follows. Tax = 14,613.65 * 0.25 - 1,005 = 2,648.41 RMB / month = 31,780.92 RMB / year. There's new individual tax structure that aimed to use starting in 2017. You can see it here (in Thai), or official pdf. Both provide the same information. I grap the image and show it for convenience below. You need to pay individual tax in Thailand 33.86% more compared to tax in China. Now it depends on one big factor of allowance as we assume it to be 0 in both tax calculation for both China and Thailand for both type of corporate and individual tax. In Thailand, there might be more options of allowance available, but seemingly less in China and possibly slighly hard to get. Thus watch out for this factor. But at the moment, we can see that doing business in special economic area such as Shenzhen in China is good for reducing corporate tax down to 0%, and even without such area; individual tax is still less than by merely 33.86% in China compared to Thailand.